I have won my case at Fair Work Australia. Can I now apply for legal costs and witness expenses? I paid a lawyer and had to pay the lost wages for my two witnesses. The witnesses cost about $200 each per day . This would not have been necessary had my employer not fabricated evidence against me falsely claiming that I had received three written warnings when I never received any written warnings at all. The Fair Work Act 2009 (Cth) contains provisions outlining when and how a successful applicant in a Fair Work Australia (FWA) matter can apply for costs. Section 611(1) of the Fair Work Act states that you must bear your own costs as a general principle. However this proposition in no way prevents you from claiming these costs against the other party at the conclusion of a matter before Fair Work Australia if strict requirements are met. (b) FWA is satisfied that it should have been reasonably apparent to you that your application, or your employer’s response to the application, had no reasonable prospect of success. Therefore you will only be able to claim the costs you have incurred if it can be shown that your employer acted vexatiously or without reasonable cause in defending any dispute taken to FWA or if it should have been reasonably apparent to your employer that its response had no reasonable prospect of success. This is normally a very difficult test to pass. If FWA accepts that your employer has fabricated evidence and made false claims against you, this would provide the basis for a strong argument that your employer has acted vexatiously or without reasonable cause and that accordingly, costs should be awarded against it under section 611 of the Act. This occurred in an earlier case: M Blagojevch v Kaplan Services Pty Ltd  AIRC 202. 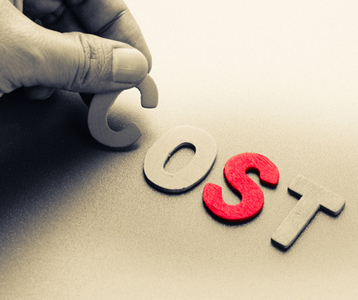 If you are successful in your application for costs, compliance with an order for costs is ensured through section 611(3) of the Act which states that a person to whom an order for costs applies must not contravene a term of the order. Breach of this subsection may result in a civil penalty being imposed upon the employer. The award of costs will include the costs of your lawyer and the witness expenses. These provisions obviously operate both ways and as such, you should be sure that your initial application to Fair Work Australia is founded upon proper grounds with a reasonable prospect of success.